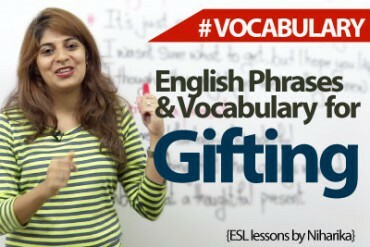 In this English pronunciation lesson with your New English Trainer ‘Kat’ you will learn about 27 English words that probably you have been mispronouncing all this while. These words are often used in your Everyday English conversation. 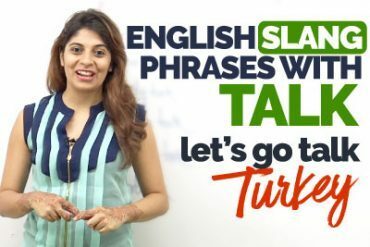 Watch the video as Kat gives you the correct native pronunciation of these simple English words, so that the next time you pronounce them correctly while speaking English. Also focus on the syllable stress and English accent so that you get the correct intonation while saying these words. 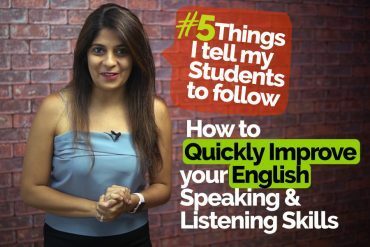 We hope this English lesson with Native speaker Kat would help you improving your English pronunciation, come back for more such interesting pronunciation training lessons. Used to describe a person or thing which is a perfect example of a particular type or quality. Jolly is the “epitome” of hard work and punctuality. What you doing this Wednesday? The Lingerie store is on the 3rd floor. Can you pass me the bowl of lemonade? A round dish used to keep food or liquid. The freedom to decide what needs to be done in a situation. She has been playing the violin sine third grade. Did you read the book, the monk who sold his ferrari? To hide or cover something completely. Your clothes look shabby, haven’t you ironed it? Please save the data in your drive. eg: Did you watch the movie where they exorcise demons? What genre of books do you like reading? A category of something like arts, literature, music, science, etc.